The orange kush has some interesting reputation when it comes to the cannabis world. 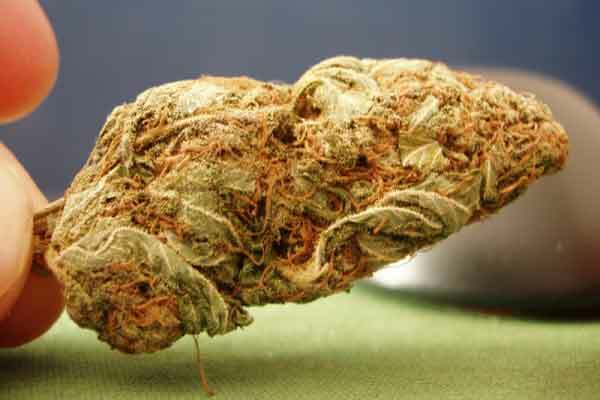 It is a powerful smoke and you can expect to get euphoric while on high on the strain. This strain was bred by Green Devil Genetics. It is a company with quite the reputation when it comes to making strains with high potency. So, what makes this strain to be great? Partly is because of the parents. The strain has Orange bud and OG kush as its parents. The great smell that you get from using the strain is due to the Orange bud. Some people have even described it being almost narcotic. Until you get to use it, you may not agree. As much as being a hybrid strain, it packs quite a punch that many will like. The powerful high is what will make you sink into your couch and simply reflect about life. Most people pick it to help them clear their heads after a long day of being busy. It will easily help you to calm down. If it is relaxation you are after, this strain should give you that in no time. You can also feel lighter mentally if you have so much to think about. Since it is strong and makes you relax way too much, it is good to smoke it in the evening as a way of unwinding. The shots of euphoria from the strain will keep you uplifted all the time. This is for those who might often feel down with mood swings. This is even in small doses. For those who like to go big, you can be sure to slip into a state of restful sleep at the end of the high. Well, if you always have insomnia issues, this could help you get your sleep faster. You will get to enjoy the famous fragrant that comes with the plant. For many users, they have found this strain as the best smelling ever. It comes with a pungent and sweet smelling of orange that you will not mind having at any time. Its strong orange scent in the room should make your room smell better. It is going to take a while for the smell to leave your room. As for the taste, it gives you a creamy orange taste each time you hit the joint. With a sweet citrus aftertaste, you should enjoy using the strain more often. There has been a lot of love for this strain from many growers. They like it because it comes with a high yield, but yet easy to grow. Even those who have basic gardening skills can easily grow this type of strain. It is known to thrive in areas with hot and sunny Mediterranean climate. This is when grown outdoors. You can always choose to grow it indoors in a hydroponic environment. The high THC levels makes the strain often be considered for medical uses. For most patients, they find it being great for handling chronic stress disorder. This is mainly because the strain has the relaxation effect. For several hours, nothing is going to stress your mind. It will also make you smile more thanks to the euphoric effects. The same strain could be used for other medical uses such as treating backaches, muscle spasms, and joint pains. If you have mood disorders, just make sure to get yourself this strain to stay happy always. It could still come in handy for those with appetite issues.